Gyrokinetic simulations are essential for better understanding of the plasma turbulence. For that purpose, a variety of non-linear gyrokinetic codes are being used and further developed, such as GENE, GYRO, ELMFIRE etc. These codes differ in numerics, physics, parallel scalability, and public availability. The emphasis in this project is on GENE code. 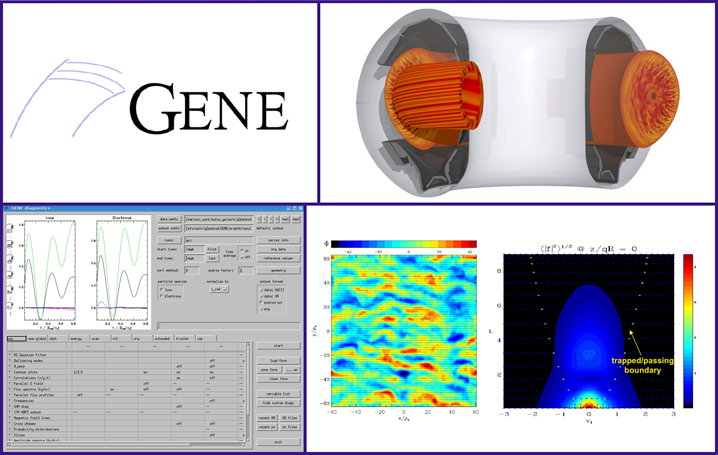 GENE (Gyrokinetic Electromagnetic Numerical Experiment) is an open-source code designed for numerical investigations of plasma microturbulence. It is freely available on http://www.genecode.org and is being further developed by an international collaboration. GENE allows efficient computation of gyroradius-scale fluctuations and the resulting transport coefficients in magnetized fusion/astrophysical plasmas. GENE has been used, among other things, to address both fundamental issues in plasma turbulence research and to perform comparisons with tokamak and stellarator experiments. The code itself can be run on a large number of different computer architectures, including Linux HPC clusters and various massively parallel systems, using anything between a single and tens of thousands of processors. The code itself is written in Fortran2008. For easier user access to the GENE code, a graphical user interface, written in Python 2.6 and Tkinter Python library, is available that allows convenient reading, editing and writing ’parameter’ files, while providing consistency checks to prevent common errors. The code package includes also a custom IDL based plotting utilities for data visualization analysis and a python user interface for setting up simulations. The IDL tool for data visualization analysis is commercial software, found on https://www.harrisgeospatial.com/Software-Technology/IDL, and thus not publicly available. Other visualization tools for visualisation of GENE code calculation results are not known. This is inconvenient for GENE users, who do not have access to IDL software and are in need of open source solutions. The aim of this project is to reproduce GENE benchmark cases and provide a set of visualization utilities for the output data using Python (version 3.6 or higher), an open source programming language. This is to be achieved by developing interactive Graphical User Interfaces (GUI), provided by Python library PyQt5 (https://pypi.org/project/PyQt5/), and encompassed plotting utilities developed using pyqtgraph (http://www.pyqtgraph.org/), a graphics and user interface library for Python that provides functionality commonly required in engineering and science applications. Its primary goals are a) to provide fast, interactive graphics for displaying data (plots, video, etc.) and b) to provide tools to aid in rapid application development. Example of GENE: a) data visualization GUI using IDL (bottom left), b) simulation results analysis (bottom right) and c) simulation of turbulent fluctuations in an actual tokamak discharge (top right) (Note: Source of the top right image: http://www.genecode.org/). Full technical report, including tutorial (including in video form), manual etc. Skip GUI development. Make simple plotting scripts in Python3. It is recommended for the student to bring his own laptop. 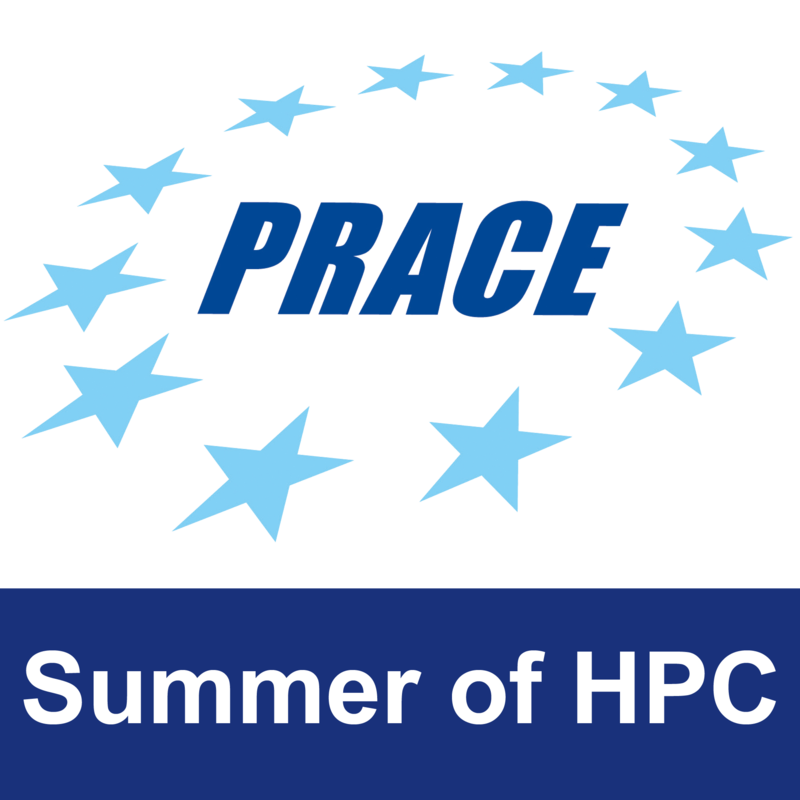 HPC cluster at the University of Ljubljana, Faculty of Mechanical Engineering, and other available HPCs.